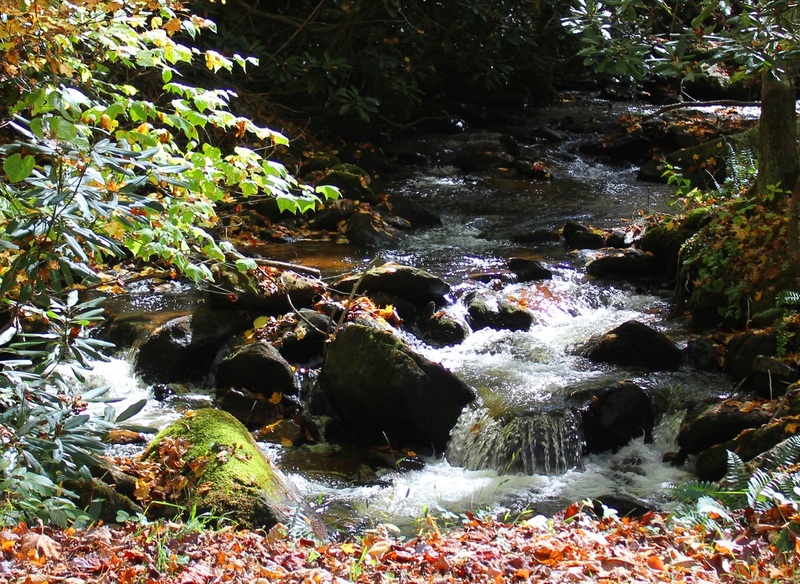 One of the most beautiful locations in Carter County is located between Elizabethton and Roan Mountain. Although this is not the place for a family outing or a picnic, it is a wonderful place to drive through and admire the scenery. This peaceful but restricted area is almost completely privately owned land and is patrolled periodically by local owners. 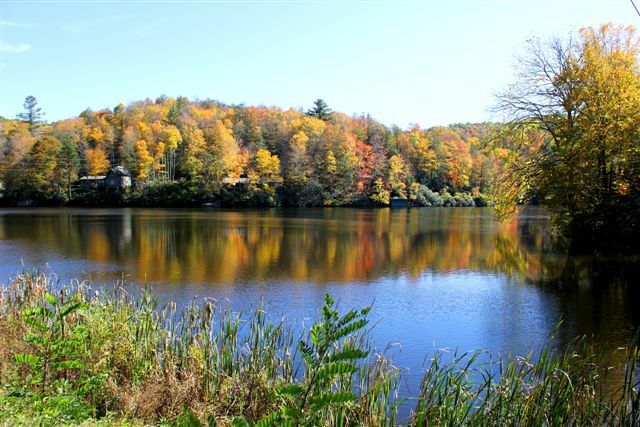 However, a main road passes within just a few feet of the lake and especially in the fall of the year, lends itself to some incredible photo opportunities. 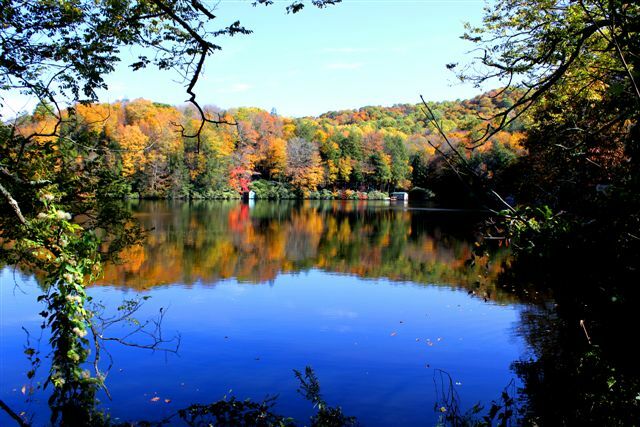 According to local residents Kevin Sams and Jack McKinney, the dam which creates the lake was completed in the mid 1930.s under the "Works Progress Administration (WPA)" which completed several other projects in Carter County. Other projects by the WPA were the rock retaining wall that runs along the Doe River and the first 9 holes of the Elizabethton Municipal Golf Course. The person that oversaw the Ripshin project was Captain William H. "Cap" Nelson who is buried in the Captain Nelson Cemetery in Roan Mtn. 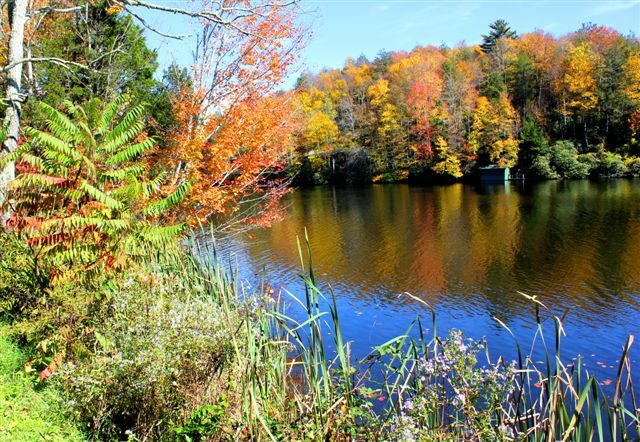 There is very little more information to be found about the lake's origin or physical characteristics. Below is all that has currently been found by our staff. "Ripshin Lake can be found on the Iron Mountain Gap USGS quad topo map. 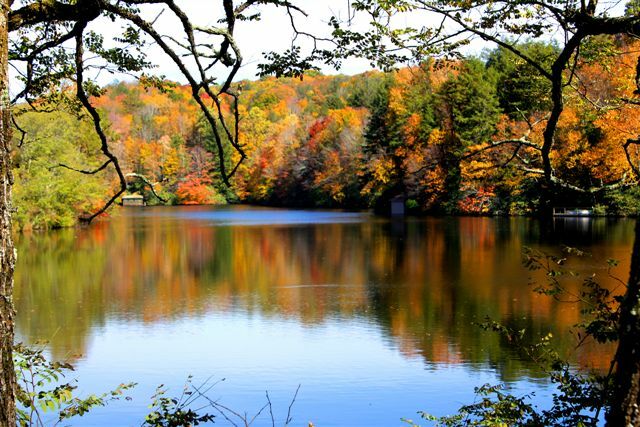 Ripshin Lake is a lake in Carter County in the state of Tennessee. The latitude and longitude coordinates for this lake are 36.1793, -82.1301 and the altitude is 3501 feet (1067 meters)." "That has always been a very exclusive section of Carter County. All owned by well to do Business men, Doctors and Lawyers from the area. I was run off at gunpoint back in the early 70's by a caretaker for trout fishing well below the dam in Roaring creek. I have been told that there are no public access to the front side of the mountain for hunting at all and do not know of any on the back side. Neighbors who live on the other side of the road are banned from crossing the properties. This is a great bear and deer hunting area but is basically closed unless you know someone willing to allow you to cross their land (good Luck). 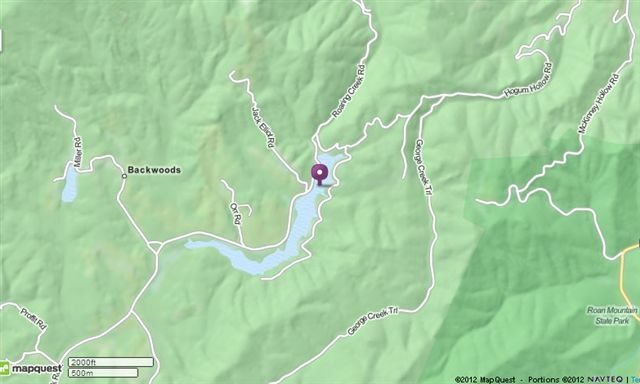 What it amounts to is the property owners have a mountain locked in for personal use only." 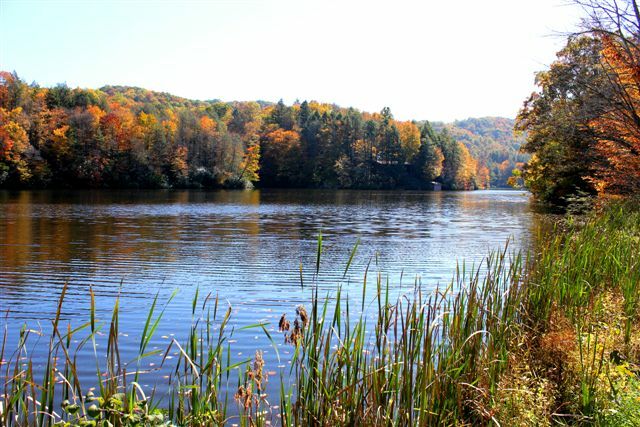 The drive up to the lake is beautiful in the fall of the year. The road parallels "Roaring Creek" which is a beautiful mountain stream that winds down the mountain with one small waterfall after another. 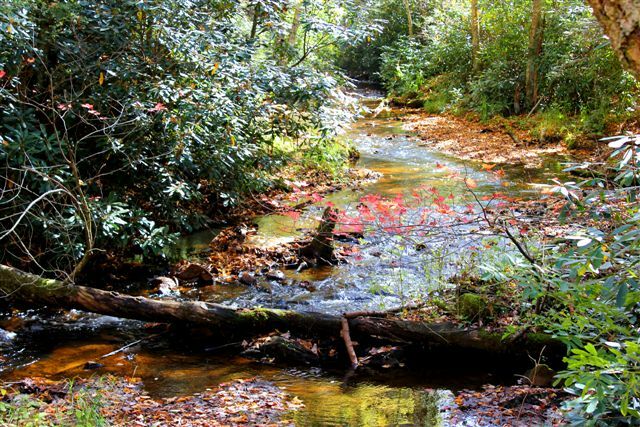 The creek can not be seen in the summer due to the foliage but when the leaves fall, the views are spectacular. If you do decide to make the drive up Roaring Creek Road, you will enjoy a winding uphill trek that summits at the lake. If you continue to drive past the lake you will end up on Tiger Creek which is also a beautiful drive. For most, it would be better to just enjoy the photos below that were shot in October of 2012 and show the beautiful foliage of the area.